You can see full detail at BrainSmith. Where is the 4K, 60P? Where is the 10bit 4:2:2 internal or external? Where is the enhanced slow-mo? this list is seriously lacking in priority. Just thought that I’d point out that his first name is Brian, not Brain. Larger camera with large, swiveling LCD and more effective image stabilization; built-in ND filters; higher resolution EVF; touch screen with more convenient menus; and 12 bit 4:4:4 internal video recording. With the RAM backed sensor tech shown in the 960fps camera sensor product, wouldn’t the next game-changing feature be… wait for it… gasp … full-frame global shutter? …and aan integrated high-precision #GPS chip for geologging and automatic time zone correction. A #touchscreen, of course (Inc. toch-to-focus). And #pixel_shifting. And a superior #battery life. And a built-in radio (or optical at worst) flash tower with support for both ETTL and Manual modes. 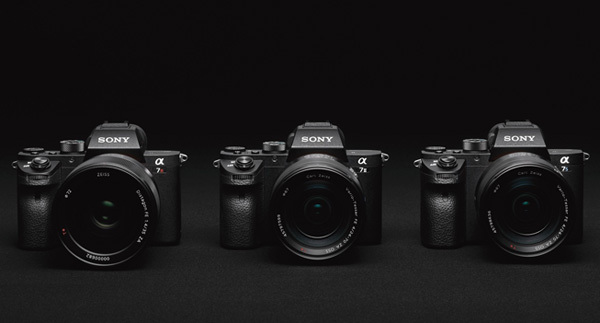 And affordable: of Sony keeps pushing #prices up like they did with the second-generation A7 -series, I’ll have to sell My Sony gear and move to Fuji.